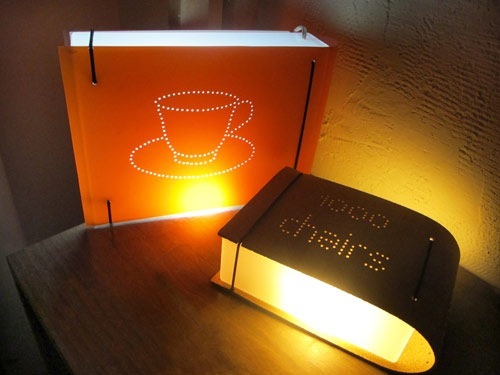 Collection of Creative and Cool Book Inspired Products and Designs from all over the world. Bookpot: These are book-inspired flowerpots called Honbachi. 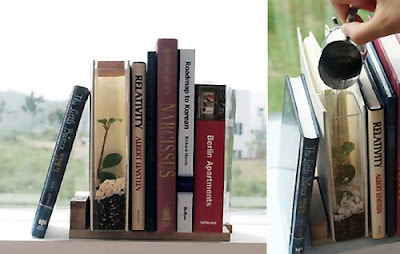 Book-Themed Furniture: These are the creation of Erik Olofson. He is a craftsman by trade and owner of Big Cozy Books; a company that creates book-themed furniture. 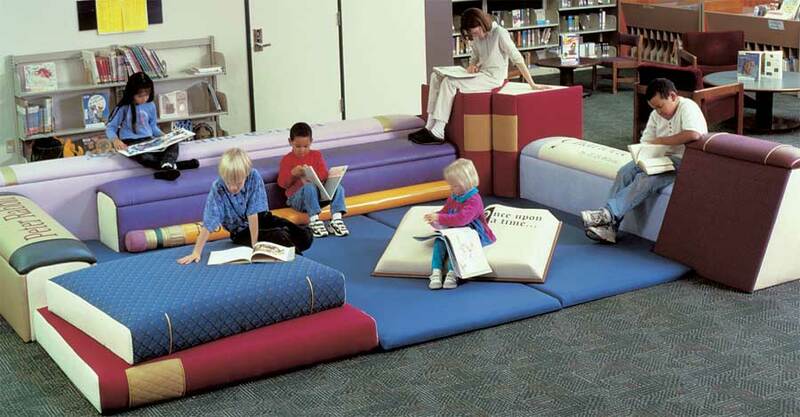 Tented Books: These tented books partners perfectly with floor panels for a comfortable place to enjoy a book. 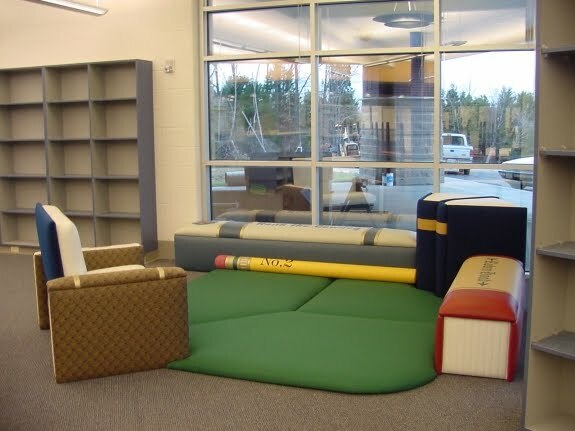 Story Time Area: This area is specifically designed for story time; the reader usually sits in the seat while the children make themselves comfortable on the floor and benches. 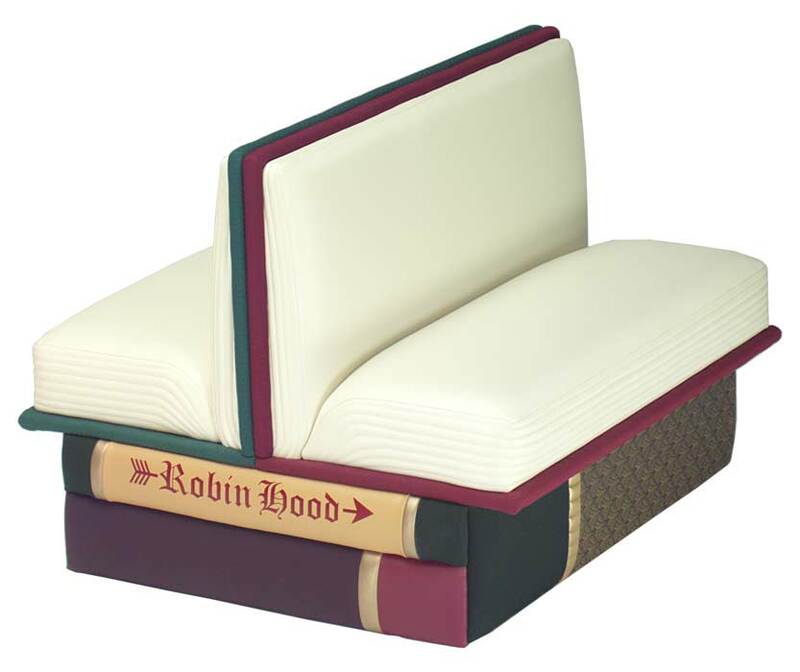 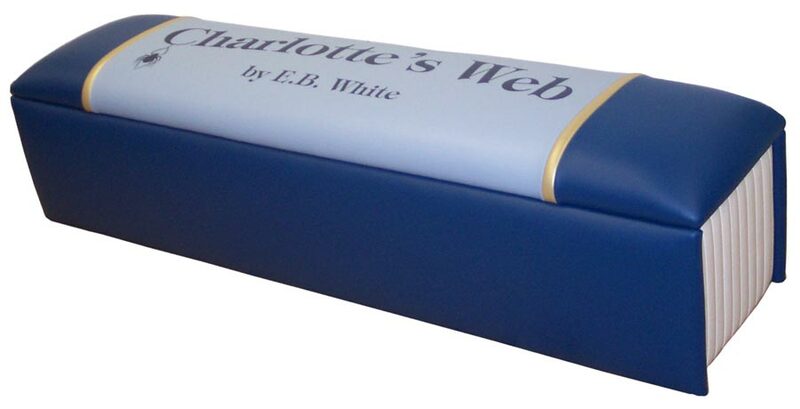 Book Bench: It has perfect height for sitting and are available in 6', 7' and 8' lengths. Open Book Booths: These are designed for standard height tables, for comfortable work top level. Taste-Leaf Book: It's a food spice solution, with edible quality paper embedded with a spice. 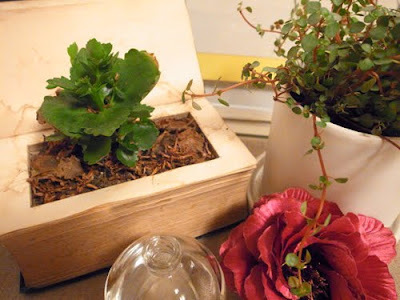 Need some spice? 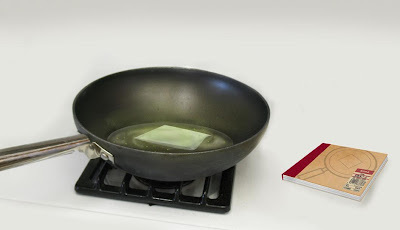 Just tear out the page and add it to the dish! 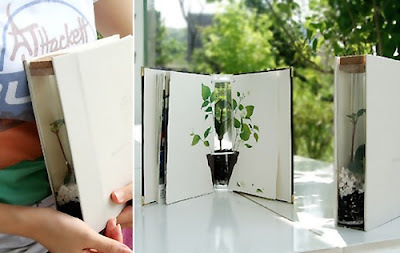 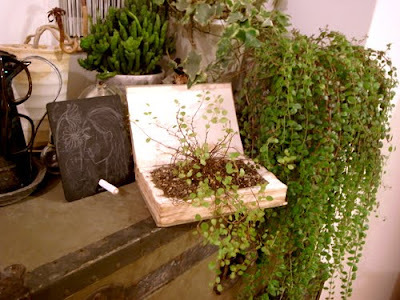 Live Book: It's a small planter with a removable vase that has a simple drainage system and actually opens up into a real book. 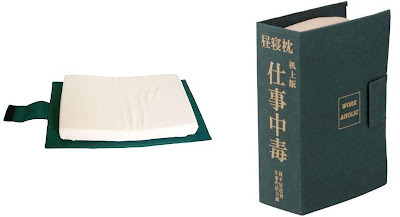 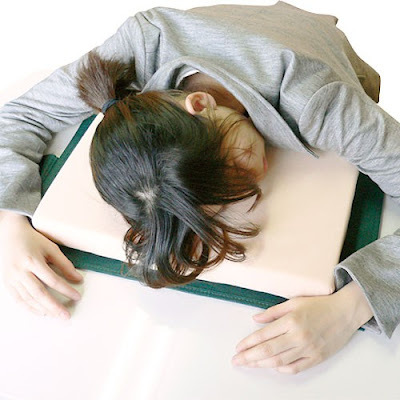 Workaholic Pillow: It's a pillow hidden in a book cover. 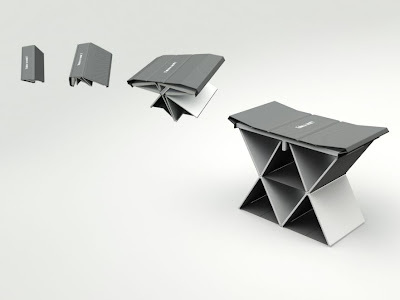 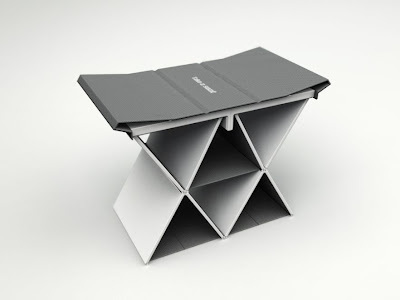 Take a seat: Open this book and the pages unfold to create an extra seat to share with your guests. 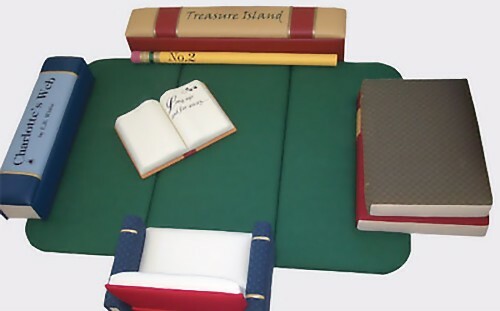 And when not in use it can be put in as a regular book on a shelf. 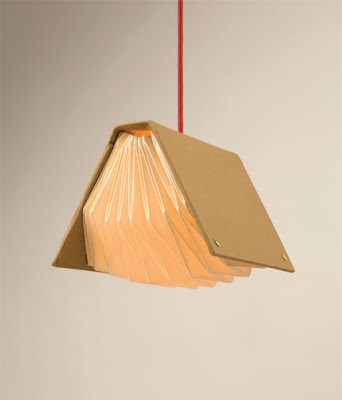 Book Lamp: The book lamp designed by Kang are inspired by traditional bookbinding. 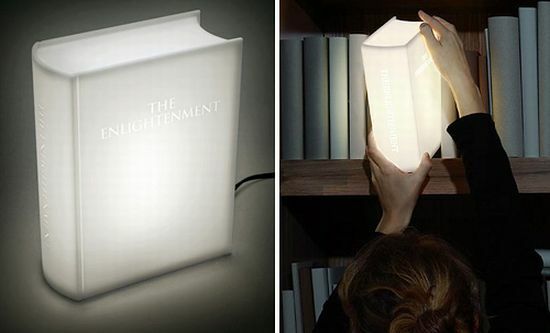 The amount of light can be adjusted by the way you open the book. 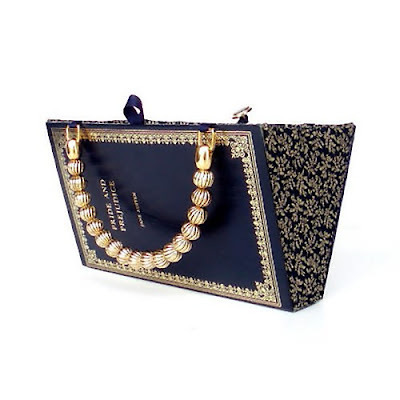 Book Bag: A cool bag made from hardback book cover. Bookshelf Lamp: It's made of white plexiglas, measures 24 x 17 x 8 cm and shaped like a hardcover book. 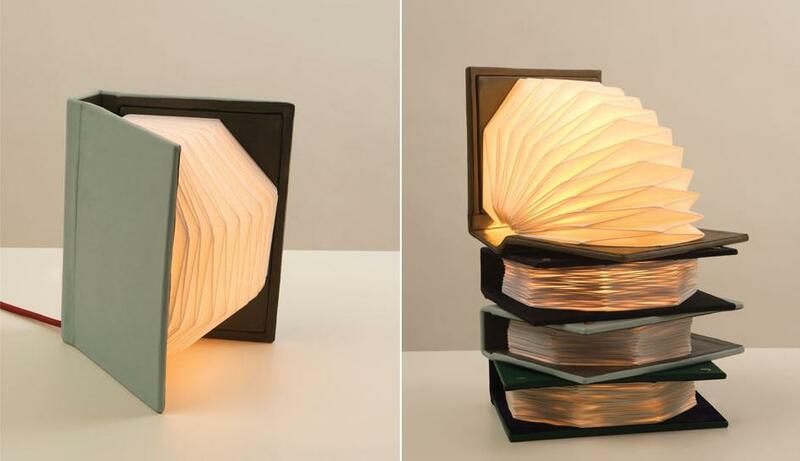 LightBooks: These book-shaped lights are inspired by traditional bookbinding; these are the creation of designer Racheli C. Sharfstein for Studio OOGA.